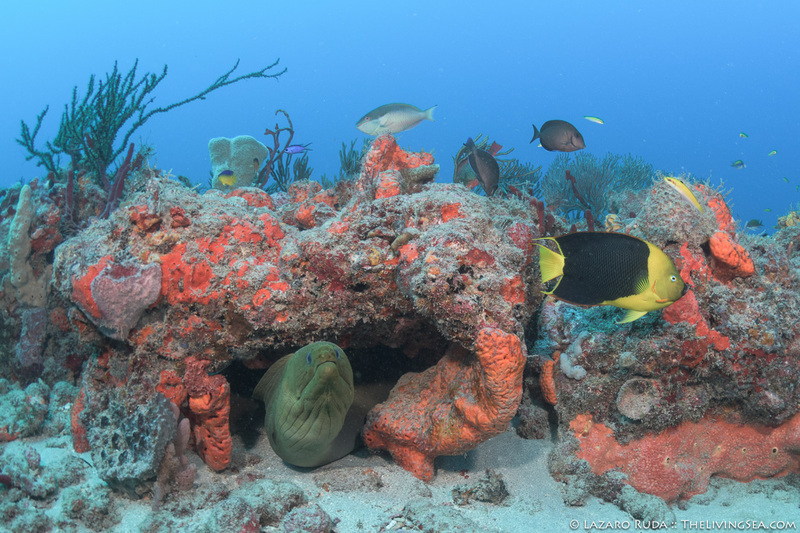 We headed out this morning to enjoy the best of both worlds when it comes to diving in West Palm Beach. Our first dive was a drift on the Corridor wrecks which include the Anna Cecilia, Mizpah, Amaryllis, and more. The current was moving north but at a nice comfortable pace which allowed the divers the opportunity to hover around the wreck. The Anna Cecilia wreck was sunk on July 13th, 2016 and during this short span of time has become the host of countless marine life. From tiny nudibranchs, pipefish, countless tropical fish to massive goliath groupers. The walls of this wreck, both inside and out, already have an abundance of coral and algae growth on them. 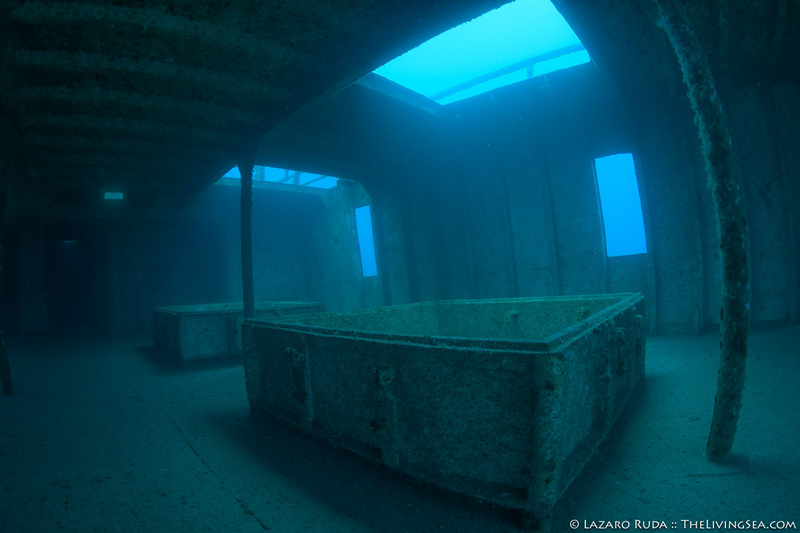 Swimming through the upper deck interior of this wreck, which has been laid out for easy and safe access, offers a very unique experience. Drift a short distance away from the wreck and you can experience the more established wrecks of Palm Beach. Many of these wrecks have been underwater for around 50 years. The Mizpah is home to the annual aggregation of goliath groupers every year which occurs throughout the months of August through October. 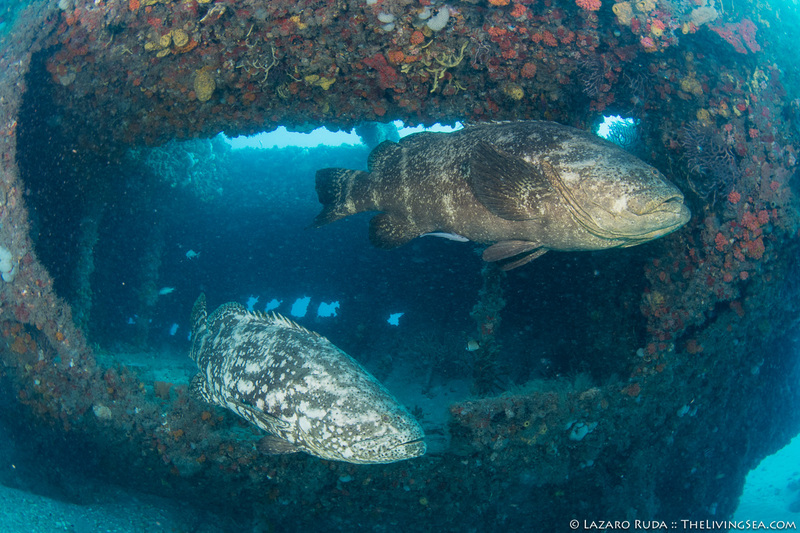 Although the large number of groupers have since departed, a few resident goliath groupers stick around year-round. On today’s dive they were all out and about giving the divers a close encounter of the fishy kind. A short drift across some coral covered rubble and the Amaryllis comes into view. A tiny reef shark seems to always greet me when I approach this ship wreck. Unfortunately, it never comes in close enough for a nice portrait shot with the ship wreck in the background. Is this “man-eater” trying to say something about my manliness? Our second dive on South Double Ledges was a real treat. The top to bottom visibility and 60ft+ of horizontal visibility, the explosion of fish life, and the colorful reef backdrop was a real treat. A tiny hawksbill and a sleepy loggerhead sea turtle swam by. Walls of grunts covered sections of the reef. Every nook and cranny had its share of hidden marine life awaiting for us to explore. Overall, we enjoyed to very unique and pleasant dives — the perfect way to spend a Monday! Conditions are looking to hold steady for a couple of days, so take advantage of it and join us for a dive. Experience the best kept [scuba diving] secret in Florida! 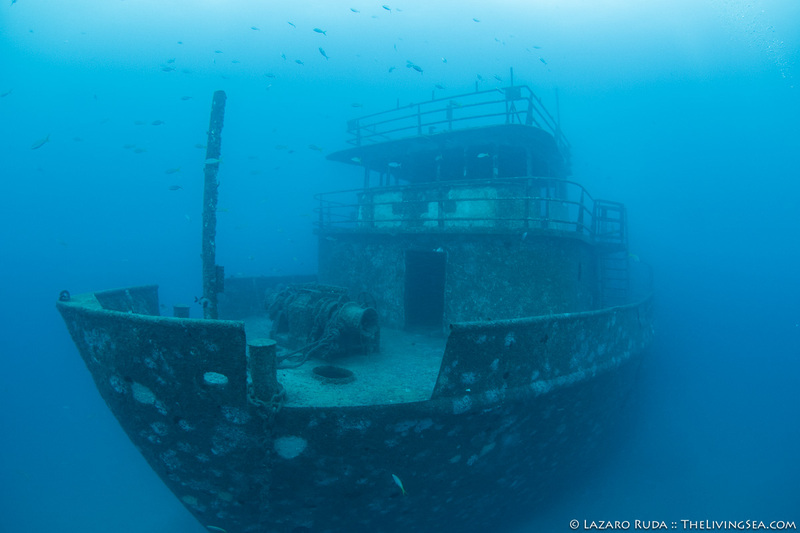 Countless fish have made this new wreck their home.